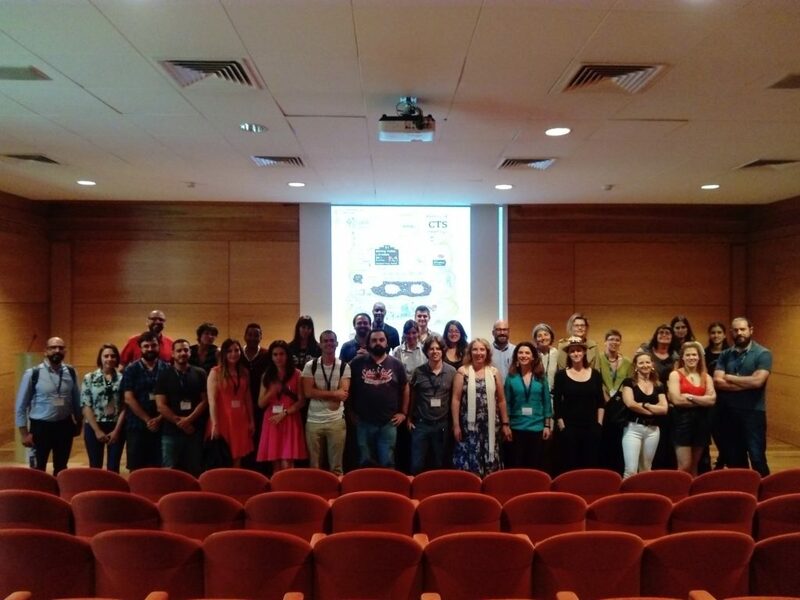 The first joint meeting of the Spanish Red esCTS and the Portuguese STS Network took place in Lisbon at the Instituto de Ciências Sociais (ICS) this past 7th to 9th of June1. It offered a privileged opportunity to think together about the theme of ‘lost in translation’, a gathering of disparate STS scholars with the intention to reflect on and share experiences of crossing territorial, linguistic, disciplinary, and professional boundaries. The account offered here is by no means comprehensive; it is my personal, and hence partial, take on the event. It circulates around three features that defined the encounter – translations, tensions and intentions – and that certainly resonate with the broader community of STS scholars in Europe. The opening plenary put Tomas Sanchez Criado, Ana Viseu and Tiago Moreira in conversation. Each of them unravelled their personal trajectories, the many boundaries they crossed – be they geographical, linguistic or disciplinary – and the many translations those transitions entailed in their experiences and their work as STS scholars. Their academic migrations have taken them from Portugal and Spain to countries such as Canada, Denmark, Germany, the UK and the US. Tomas Sanchez Criado reflected on his move from Barcelona to Munich, an entry point to examine the many frictions, gratifications and im/possibilities that emerge as one attempts some audacious translations and comes to embody the “traduttore, traditore” of the Italian adage. The reflection focused on his own trials and tribulations as he attempts to translate the politics of activist design collectives in Spain into a pedagogical programme for architects and designers in Germany. His more or less successful attempts speak volumes about the un/translatability of STS ways of doing and talking to non-STS domains. Perhaps, Tomas lucidly suggested, we could be more hopeful about the potentialities of STS as intervention, if we shifted ‘from translation to re-specification’. That is, if instead of merely transposing our methods and ideas to other contexts we were to engage in “learning the local art of re-specifying and re-calibrating”. To do that it is necessary to learn from the settings in which we operate and from those whom we seek to reach out. Doing so will crucially enable the opening of ‘third spaces’ from which we can learn from each other and relate through differences2. Ana Viseu, being the only one that has moved from the margins to the centre and back – from Portugal to Barcelona to Canada and the US and back to Lisbon –added yet another layer to the theme of ‘lost in translation’, as she shared her concerns about the integration of STS, or the social sciences more generally, into contemporary EU politics of technoscience. Ana urged us to think about how such a role is defined, and hence inevitably constrained, by the bureaucratic funding systems that allocate limited financial resources. The conversation was timely and certainly vital to Spanish and Portuguese-based scholars that struggle with diminished funding schemes for the social sciences. Ana left us with some haunting questions: is the integration of the social sciences possible within the current power asymmetries that dominate such large-scale European projects? How can we offer our expertise and make a difference without becoming a ‘service discipline’ for policy-makers? How can we cultivate the slow craft of making theory amidst such an ethos of fast and utilisable research outcomes? These are compelling questions that ignited a widespread consideration of the politics of funding alongside its inevitable effects that re/shape the very organisation, practice and evaluation of our academic research practices. Finally, Tiago Moreira incited us to celebrate being ‘lost in translation’ as this is after all STS’ leitmotif. Citing Stengers, he asserted that doing STS is not about giving ready answers but instead about ‘surviving in the culture of interstices’. Tiago related his transition from an STS environment to a medical school and admitted that the adaptation process had entailed playing the role of ‘secret agent’. Becoming an infiltrator and ‘practising the art of careful misunderstanding’ have allowed fruitful collaborations amongst seemingly disparate professional approaches. Like the rest of the keynote speakers, Tiago addressed the audience in English; his passing comment (“I have lost the capacity to talk in academic Portuguese, it would just sound odd”) foregrounded one of the unavoidable tensions that were present, even when absent, at the conference. For the uncomfortable question that we all faced was: as a multilingual collective of scholars can we do and talk STS in our native language/s if that language is not English? And the answer to the latter, as it was exemplified during the conference, is ‘yes it is possible but it is never easy.’ Especially given that the nationalities were truly diverse: Brazilian, Catalan, Chilean, Dutch, Italian, Norwegian, Portuguese and Spanish. Surprisingly, such national and linguistic diversity was not unanimously accommodated by a generalised use of English as lingua franca. Most sessions combined the use of English, Portuguese and Spanish, and contrary to what one might expect, chaos didn’t ensue and communication was imperfectly accomplished. A rare achievement and one that made visible some rather unexamined linguistic normativity that populates the field of STS. It conferred a different dimension to the usual talk of centres and peripheries; a deterritorialized version that focused on linguistic centrism rather than geographical enclaves. There were other tensions to accommodate as well, such as the wide and sometimes loosely connected variety of topics and disciplinary approaches espoused by the presenters. Even though as STS scholars we feel at ease with such multiplicity, given that most sessions had a rather small audience (5/15), it demanded from us, individually and collectively, to exercise a disposition to listen, learn and communicate across differences. It might well be that our sustained efforts to accommodate such diversities further enabled a prevalent sense of reflection, a shared curiosity to take the pulse of our specific and situated enactments of STS. That was the case especially during the special sessions: ‘Altered states: a cathartic-therapeutic workshop to think about the state of STS’ and ‘Conversations about STS in the interstices: inhabiting and expanding disciplinary borderlands’. The following is an admittedly limited and personally selected sample of some of the work that was presented. I hope it offers a quick glimpse into the sheer variety spread across the sessions. The themes of public participation and the democratisation of science governance were situated in the Portuguese context and within large European technoscientific projects. The questions of ‘who’ gets to participate and ‘how’ is such participation operationalized were variously addressed. The session ‘technologies across boundaries’ touched upon the translations, mistranslations and local re-specifications that emerge within processes of technology appropriation, be they mobile phones used by pastoralists in Tanzania, the various enactments of Anonymous on the Internet, or the hybridisation of hacker culture in Europe. The session ‘Political economy of science’ offered insights into a European project that develops ‘autonomous’ robots as a way to address societal problems – a timely example from which to analyse the traction that sociotechnical imaginaries, increasingly imbued with desirable ethical futures, are gaining through re-alignments of public and private partnerships. The private-public thread was continued with the case of Spanish reproductive bioeconomy, wherein egg donation was rendered as a quasi-market, and with an elucidation of the neoliberal transformation of science within the emerging field of the digital humanities. In ‘Living matters across boundaries’ the concept of boundary object was mobilised to give an account of contemporary practices of genetic data sharing in Portugal and beyond. From clinical registers and medical biobanks to criminal databases and global platforms, the circulations and translations of genetic data were mapped. Special attention was given to the associated issues of social inequalities and tensions between data sharing and genetic privacy. Blood donation in Spain – including umbilical cord blood and bone marrow donation – was characterised as liminal technologies so as to make visible the shifting political dynamics of inclusion/exclusion alongside the various reconfigurations of the individual/collective boundary. There was also space to discuss human/animal entanglements with fascinating stories about language training in primatology, experimental settings through which ‘enculturated simians’ become articulated and emerge as new beings in translation. And with a gripping paper that proposed that animal slaughter for meat consumption constitutes the ‘living infrastructure’ that enables the emergence of Uruguay as a modern state. The co-production between animal thanatopolitics on a global scale and human biopolitics on a national scale was ingeniously explored with artwork produced by cow-inspired artists. Further intertwinements between social science and the materialities of art were also experimented with to capture ‘cancer on paper’; in which drawings, photography and imagination were put to work to understand the lived and sensed experiences of breast cancer amongst Portuguese women. The event finished up with a session that delved into ‘Temporalities across boundaries’ and future-making practices. Firstly, in the area of the life sciences with synthetic biology’s innovative drive and the wish to act a distant time, and secondly, on the topic of social housing in Chile, where the dignified housing ideologies of a collective movement were translated into the materialities of architectural design as a contestation to dominant housing policies that reproduce inequalities. The conference was permeated by yet another generative tension, it concerned the tentative continuity of the Spanish Network Red esCTS3, and it demanded a collective decision on possible future arrangements with the Portuguese STS network. We explored ways to further work together and contemplated the possibility to set up a journal. For that we engaged in conversation with the editor of Italian STS journal Tecnoscienza, as well as editors from Science & Technology Studies and Nordic Journal of Science and Technology Studies It became clear to us that we lacked the necessary institutional backing, in terms of funding and a dedicated team of people to meet the challenges of maintaining a journal. Nevertheless, our collective deliberation led us to accommodate the many tensions and to articulate our intentions for a shared future. The meeting in Lisbon crystallised into the decision to merge the Spanish Red esCTS and the Portuguese STS networks into one joint network, Redes CTS. Redes CTS is now a multilingual platform, with Catalan, English, Portuguese and Spanish translations, that provides a space for the many disperse STS scholars in the Iberoamerican area to stay connected. A remarkable achievement given the inherent multiplicity of languages, disciplines and topics, yet it is precisely these differences and their demands for translations, re-specifications and shared intentions that will enable the joint network to thrive in the culture of interstices. A place of encounter that will allow us to cultivate our many attachments, to inhabit the centre, be it defined in linguistic or territorial terms, whilst reaching out and caring for localities. 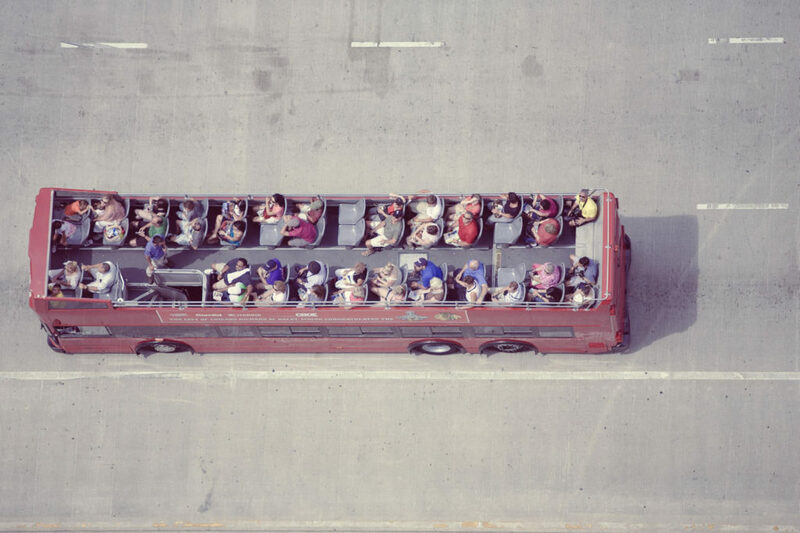 The balancing act of ‘keeping a foot on each side’, as Ana Viseu called it, will forcefully require a disruption to the Anglocentrism that so often underpins our scholarly interactions. I have no doubt that in our next meeting – to take place in Valencia and that will put STS in conversation with history of science and medicine – the question of how to re-specify ways of doing and talking STS into our native language/s will not go unanswered. Sara Bea recently completed her PhD in STS at the University of Edinburgh. Her ethnographic research focuses on medical practices of deceased donation in a Catalan hospital. 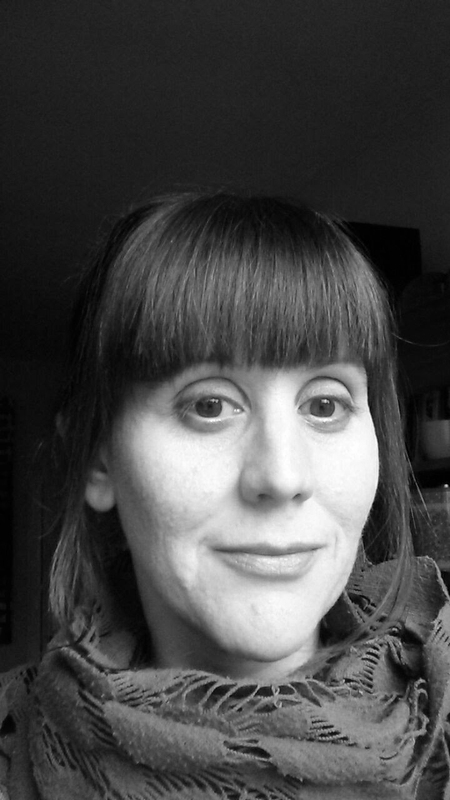 She is interested in material semiotics, theorising the body, ethicalities in practice and inventive methods. She was a member of the organising and scientific committee for the Lisbon conference 'Lost in Translation? People, Technologies, Practices and Concepts across Boundaries'.